Pensacola State College students received team and chapter recognition at the 52nd Annual SkillsUSA National Leadership Conference recently in Louisville, Ky. The primary purpose of the conference is skills head-to-head competition among students who have been first-place winners from each state. National Gold Medal winners for Cyber Forensics Career Pathways Showcase were David Gardner, Timothy Clausell and Deborah Brosene. National Silver Medal winners for Dental Hygiene Career Pathways Showcase were Elizabeth Le, Amelia Calhoun and Krystal Hardin. PSC welding student Paul Needham also received recognition for being selected by the National SkillsUSA Executive Director to serve on the National Welding Team along with students from one other state and two other countries. 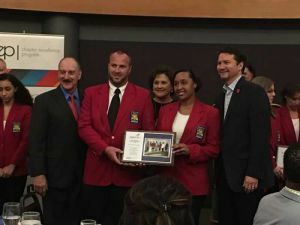 Pensacola State’s SkillsUSA chapter was one of only two community colleges in the nation to receive the Models of Excellence Award. This is the highest level of the SkillsUSA Chapter Excellence Program and included a $2,000 grant. 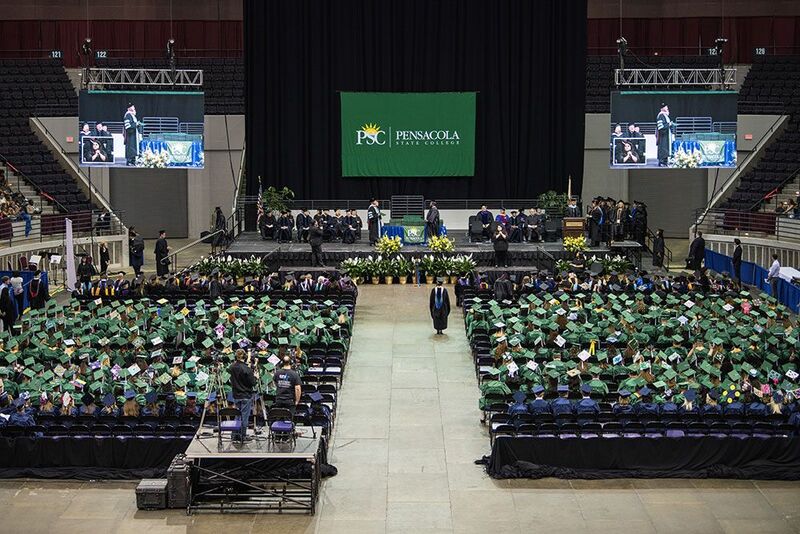 Accepting the Models of Excellence award were PSC students Laquisha Lee and Tommy Warta. PSC President Edward Meadows said SkillsUSA helps prepare students for careers by providing real-world experiences and connecting students with professionals in the workforce. SkillsUSA is a national organization for students enrolled in career and technical education programs. More than 6,000 students from every state competed in 100 hands-on occupational and leadership contests. All contests are designed, run and judged by industry professionals using industry standards.